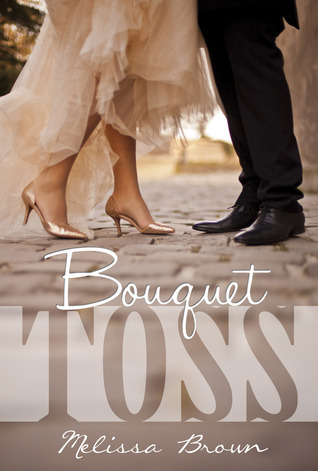 Bouquet Toss is written well, the story moves slowly in the beginning but then the pace picks up and there is the element of surprise that is a bonus! Just a touch of angst but not too much making this a light and fun read. I will say, as far as the “element of surprise”…I loved it but the way that Daphne handled it, didn’t seem believable. Had that “surprise” happened to me, I would have been down for the count and I’m not talking just a few weeks but more like months! Something about that whole scenario didn’t move me the way I thought it would BUT I still liked where it was going and what it was going to do. There is a bit of an interesting love triangle which includes Mayson, Daphne and Tanner. Keyword being interesting. What I absolutely loved was the chemistry between Tanner and Daphne. Tanner is the epitome of the “nice guy” and simply said…he’s the entire package. It doesn’t take long for Daphne to realize that she landed one incredible man and could he be the one? You have to read it to find out. My final two cents: An enjoyable read and looking forward to Champagne Toast which is the 2nd book in the series. I can’t wait to find out what happens with Evan! It’s definitely a sweet story. There are so many to read that sometimes I never know what to read first! And a beautiful story to match!